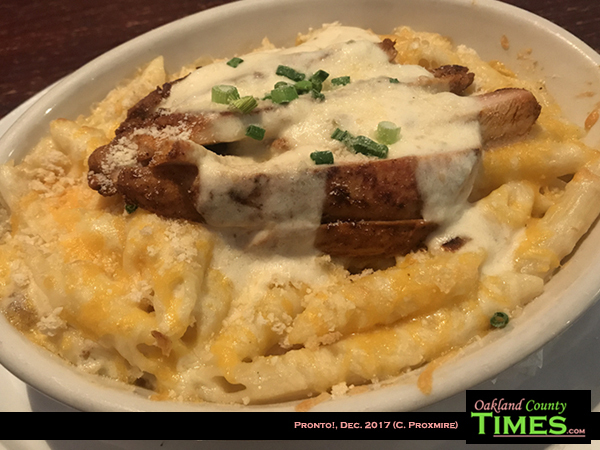 Royal Oak, MI – If you read “Reporter Food” often, you know that I am a big fan of mac and cheese. Pronto has two great mac and cheese options, and during a recent meeting I got to try their Pronto! Pasta. This dish has penne pasta with a blend of sharp cheddar, dill Havarti, Monterey Jack, and scallions with a bread crumb topping and the optional added chicken. Their other classic is called “smack n’ cheese,” which I’ll save for another day. I had a meeting with fellow entrepreneur Robert Bales, co-founder of Local Hop, which is a company that creates online calendars and a local event app that has grown to several markets across the country. Solving the problem of gathering event information is something important to both of our businesses, and it’s always fun to talk about how to make this better for communities. Check out their website at https://getlocalhop.com/. Local Hop is also pretty awesome because they recently purchased an historic building in Downtown Pontiac for their world headquarters. Check out a tour we got for Oakland County Times HERE. Robert went for another Pronto! classic, the chicken quesadilla, which he seemed to enjoy. Pronto! 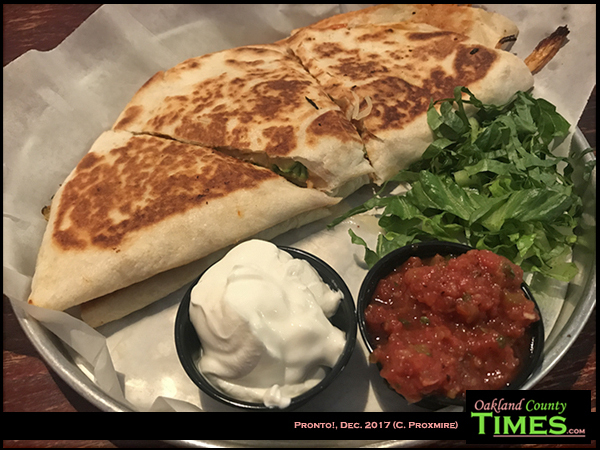 is an advertiser for Oakland County Times, and it’s a great place to have lunchtime or after-work meetings. Find out more about Pronto! on their Facebook Page. Check out more Reporter Food columns HERE.